Get involved: There are three divisions of different standards to choose from. Three leagues will be offered in the new season, beginning at the end of August or start of September and running for several weeks. 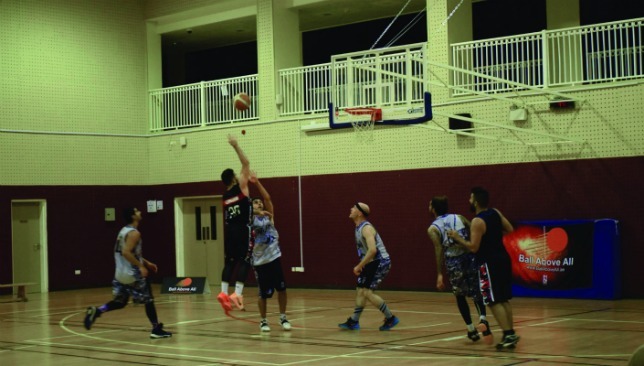 No matter what level of play you’ve reached – whether you’re a beginner just learning to shoot, or capable of pulling off Stephen Curry-like moves – there’s a league that suits what you’re looking for. The Elite League, or Division 1, caters to the highest level of athletes, from former professionals to players who’ve played in college or high school. Those playing in Division 1 also get the luxury of having FIBA certified refs officiating the games and stats recorded so you can track your performance throughout the season. Winners will walk away with Dh8,000 in prize money, while a championship trophy, medals and an MVP will also be handed out. Division 1 will take place Monday through Wednesday from 19:30 onwards, from August 29 to November 9. The fee is Dh5,500 per team, paid before August 7. All to play for: There are medals and a winning trophy up for grabs. Semi-elite and corporate players looking for slightly less intense competition can test their skills in Division 2, which is great for connecting with business professionals on and off the court. Prize money of Dh5,000 will be on the line, along with a championship trophy and medals. The league runs Sunday to Tuesday from 19:30 onwards, beginning August 28 and ending November 8. To enter, teams must pay Dh4,500 before August 7. Finally, the new Division 3 is tipping off for lower-level players who like to have fun and stay fit. Teams can be formed of all men, all women, or even mixed, with a championship trophy and medals up for grabs. Division 3 will take place every Thursday from 19:00, starting September 1 and ending November 3. Sign your team up for Dh4,000 before August 7. Games in all the leagues will be played at Raffles World Academy and if you fail to pay the registration fee on time, late entry is available for Dh500 added on per team. 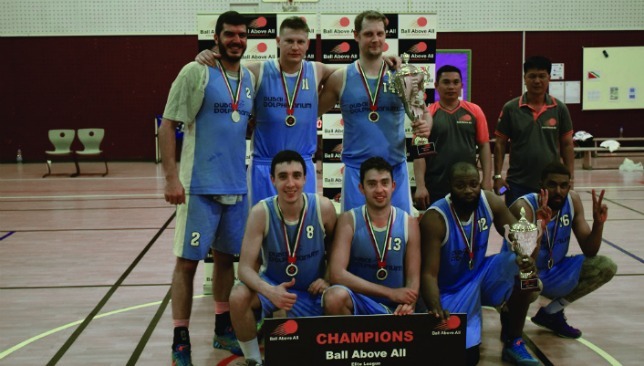 Teams can also have the chance to play in the Sole Ball Above All Classic, which will be held after the conclusion of the leagues in November. The top four teams in Division 1 and 2 will be invited for the event. You can even get some coaching beforehand, with adult sessions running every Wednesday. A front of an NBA store. 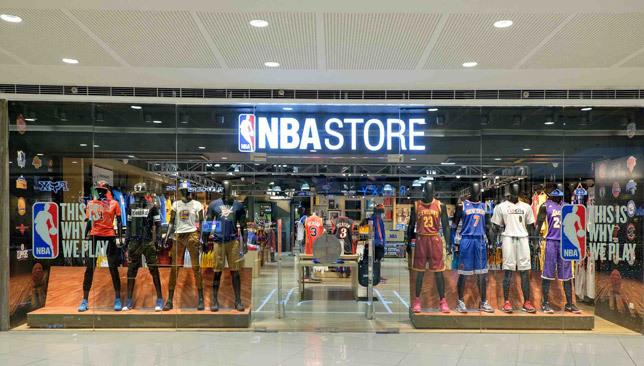 The first two NBA Stores are scheduled to open in Doha, Qatar, during the 2016-17 NBA season, with additional stores in the UAE, Saudi Arabia and Kuwait to follow. The NBA Stores will provide fans in the Middle East with access to the widest range of official NBA merchandise and memorabilia ever available in the region, including apparel, jerseys, footwear, sporting goods, toys and collectibles. Fans can sign up to receive more information by visiting www.nbastore-me.com and can continue to shop online on NBAStore.eu for a wide range of NBA merchandise, including exclusive product from all 30 NBA teams. “The National Basketball Association is one of the most successful sports leagues in the world and is watched and enjoyed by millions of people around the globe,” said Andrew Fairall, General Manager of Al Mana Fashion Group – Sports Division. #360debate: Is it time for Cleveland to trade Kevin Love? 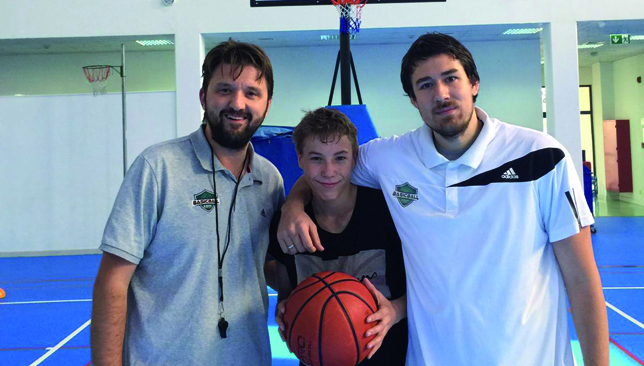 Kevin Podpecan (c) with Basicball co-founder Dejan Kamenjasevic (l) and Aleksandar Ivkovic. The 15-year-old is vying for a roster spot on Slovenia’s youth national team for the U16 European Championships this summer. After going through two tryouts with the Slovenian squad, Podpecan is awaiting a third to take place this month. Podpecan may be on the low end of the spectrum with his 1.76m height, but there’s still room for growth as he shot up seven centimetres since moving from Dubai back to Slovenia in February. “The coach saw I was working and if this year I don’t get it, he’ll see how much I grow and how much stronger I get, then they’ll put me in,” Podpecan said of his national team chances. Height hasn’t been the only area where Podpecan has grown. After initially playing football and athletics, he transitioned to basketball at the age of six. When he moved to Dubai at 10, he continued playing the sport in school. “In Slovenia, everyone knows how to play so I got easily into it,” Podpecan said. It wasn’t until Podpecan joined Basicball in January 2015 after his father discovered the academy while researching though, that he became serious about improving. Podpecan trained eight times per week, practicing every day before and after school. The hard work paid off when the Slovenian national team came calling 10 months later in November. “He’s improved a lot,” said Dejan Kamenjasevic, co-founder of Basicball. “He started to do personal sessions with us and he also did group sessions. He’s 15 years old but he practiced with all the kids. “This is our system and this is what we’re doing. We are not putting the kids by age, but by level, like the European system. While making the national team is Podpecan’s short-term goal, he has bigger plans of earning a basketball scholarship to a US university down the road. “I really want to accomplish a lot in my life. Sport is my number one thing, but education is also a priority,” he said.